With Leeds’ first ‘Indie Food Festival’ coming to a triumphant end last weekend, it was the turn for the Leeds Food and Drink Festival to begin, in fact they overlapped! Nevertheless the festival sponsored by ASDA started on the 22nd May, with over a fortnight events that may suit Leeds folk interested in the city’s food and drink culture. 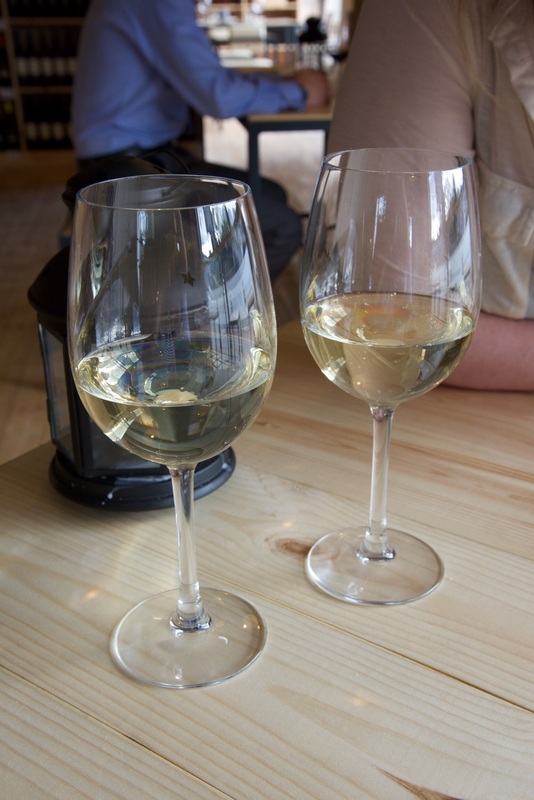 Amongst the well-known chains and corporates, there’s a handful of Leeds independents involved of which I’m interested in, one of these Ipsum Vinoteca I was given the opportunity to visit last week. 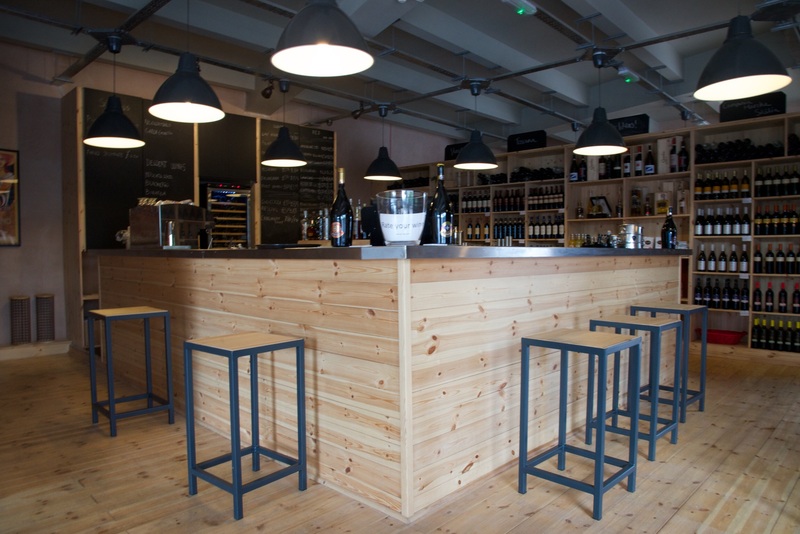 Ipsum Vinoteca is an Italian run bar/restaurant specialising in Italian wine, located in the city’s arts quarter, to be more exact the corner of Munro House, which also houses popular haunts for creatives Colours May Vary and Leeds Gallery. Having only peered in at street level before, the amount of wine which is housed in shelves lining many of the walls in the space is impressive to look at – approximately 300 bottles are available and 30 wines by the glass!! I’d be hard pushed to think of anywhere in the local area that’s provides this kind of service certainly heaven for lover of Italian wine. For the festival they’ve focused on a different Italian region each day, showcasing a particular wine and pairing it with a matching regional dish – all sounds like a great idea! The day we arrived it was all about the Friuli region, I’ve been to bits of Italy, but all the dead obvious touristy places like parts of Tuscany, Venice and Rome. As usual the internet came to my hour of need as my geography is pretty shocking – the region is found in the most north-eastern part of the country, bordering Slovenia and Austria, thanks internet!!! 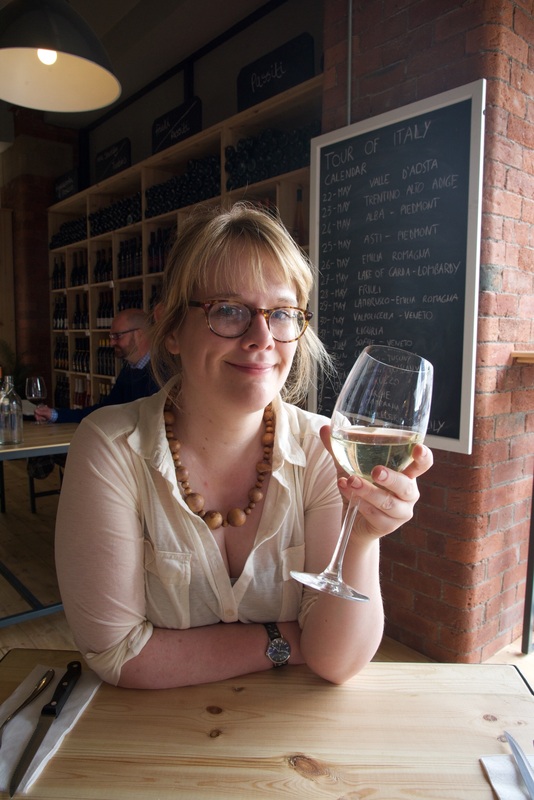 I love wine, both red and white and am very partial to Prosecco too, but I’m no good at describing the stuff. The wine they gave us, tasted really good, but I couldn’t tell you what it was as we weren’t told, apart from that it was from the Friuli region. 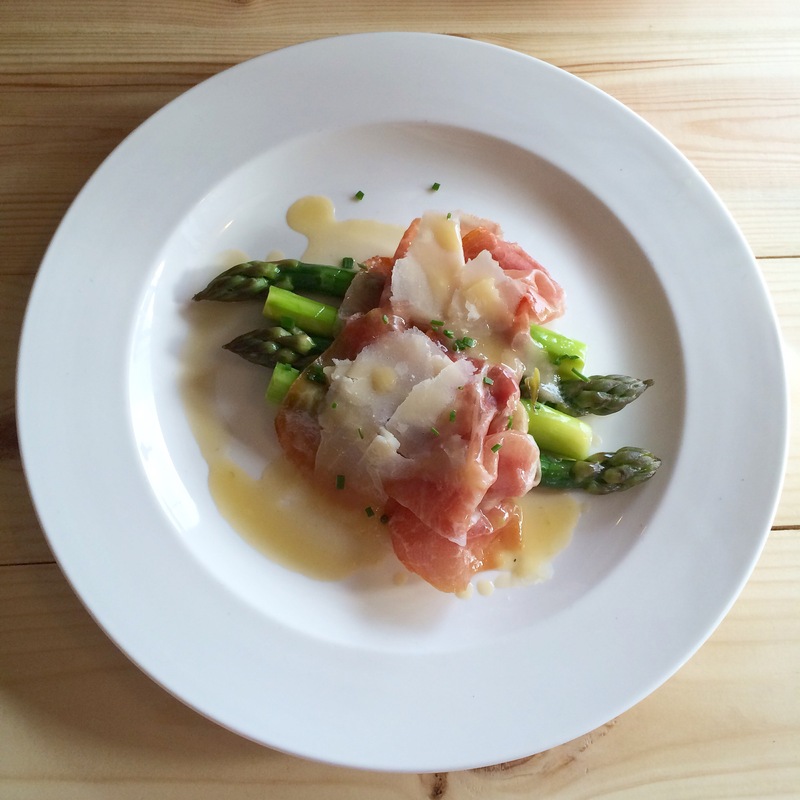 We were brought a simple looking dish of asparagus, topped with San Daniele ham and Parmesan Reggiano. It was a looker of a dish and size-wise enough for a light lunch. The San Daniele is an ingredient produced in the Friuli region and had a wonderful flavour, a beautiful sweetness. The asparagus were vibrant and green, perfectly cooked and had been gloriously bathed in butter on the plate, just on the border between al dente and soft on the bite. The parmesan shavings added a creamy/salty/umaminess, whilst the butter sauce was smooth, glossy and brought the elements of the dish together. Paired with the wine, which was a lovely drop and complemented the food well. It was a shame that staff didn’t given any tasting notes or give any explanation about the wine or the specific ingredients, considering they’re trying to celebrate different regions of country. It seemed obvious they know their stuff, but I feel didn’t show it outwardly enough with us as customers. Overall, in theory it’s a great idea, but could be much improved with more customer interaction. The festival runs till 7th May.